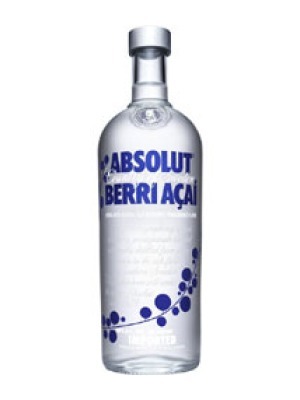 Absolut Berri Acai Vodka is a popular Vodka available from TheDrinkShop in 70cl to buy online. Visit TheDrinkShop for the best price for 70cl of Absolut Berri Acai Vodka or compare prices on our other Vodka products. The perfect blend of berry flavors combined with vodka. The combination açaí, blueberry and pomegranate flavours dart across the mouth offering a moreish flavour without being overpowering. On the end the vodka comes out giving a dry but sweet aftertaste. Best served over the rocks or with mixers to make delicious cocktails. Where to buy Absolut Berri Acai Vodka ? Absolut Berri Acai Vodka Supermarkets & Stockists. You can buy Absolut Berri Acai Vodka online in most retailers and find it in the Vodka aisle in supermarkets but we found the best deals online for Absolut Berri Acai Vodka in TheDrinkShop, DrinkSupermarket.com, and others. Compare the current price of Absolut Berri Acai Vodka in 70cl size in the table of offers below. Simply click on the button to order Absolut Berri Acai Vodka online now.